The X-Men have been a staple team of super-heroes since their first release in September 1963. With their mission to defend a world that hates and fears them, this mutant team of superheroes has dealt with themes of injustice since their inception. That common mission has spread into many different iterations, pushing other mutants to join Charles Xavier’s cause in whatever form it takes. Among these teams, X-Men, X-Force, X-Factor, and many others have graced the pages of comics. Marvel has set about a rebirth in recent months, bringing back old teams and heroes from their X-Men line over the decades. Of these, GENERATION X stands out as the most obscure, yet most interesting, reinvention yet. This newest take on GENERATION X released in April 2017, with writer Christina Strain and artist Amilcar Pinna heading the project. It follows Jubilation Lee, the X-Men’s staple sidekick, as she takes on a mentorship role. Returning to Xavier’s, Kitty Pryde tasks her with preparing a group of students to survive on their own in the real world. Her goal is not to run an X-Men boot camp. Kitty Pryde asked her to help these students cope with their obvious physical or their uncontrollable mental mutations. The end goal for most of these students might involve becoming a superhero. Their first steps, though, need to include having a regular life. The concept for GENERATION X is not new. In fact, much of Jubilee’s mission as a mentor takes its influence from the original iteration of the team, in which Jubilee was a member. While a popular series in its prime, the series fell into obscurity after its original writing team left. In order to prepare readers for the newest form of GENERATION X, we will dig into the history of this team of misfit mutants. 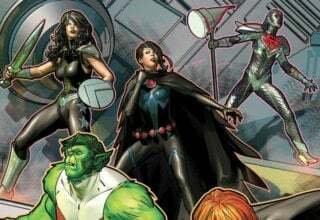 Hopefully this exploration inspires new readers to explore both the original incarnation and the newest rebirth of the super-team known as GENERATION X. SPOILERS AHEAD! READ: Obsessed with anything X-Men? Check out our preview of their upcoming crossover event, WEAPONS OF MUTANT DESTRUCTION! GENERATION X #1 was first published in September 1994 by writer Scott Lobdell and artist Chris Bachalo. With a serious focus on teen characters, fans praised GENERATION X for its strong characterization and edgy art style. The heroes presented were incredibly complex and diverse. The focus here wasn’t on the pristine powers of the original team of X-Men. Lobdell was not afraid to dig into the grittier and weirder side of the X-Gene. In 1997, the original creative team left the story in the hands of Larry Hama and Terry Dodson. This pairing had the monumental task of tying up the overarching mysteries surrounding team members Monet St. Croix and Penance, and their connection to arch-rival Emplate. Many fans believe they failed in their depiction, creating an overly and unnecessarily complex backstory. 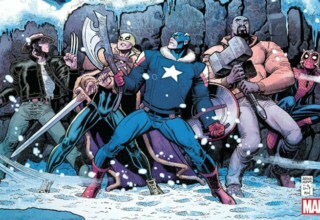 Marvel shelved the series in 2001 due to waning sales and the overabundance of X-titles on the market. GENERATION X finds its origins in the X-MEN crossover event, “The Phalanx Covenant.” In this story, a group of anti-mutant bigots bond with a techno-organic virus. This connection grants them incredible strength, speed, and other powers necessary to take on the X-Men and kill all mutants. The virus also granted them a hive-mind, making them a dangerous all-knowing foe codenamed Phalanx. In the series GENERATION NEXT, Sean Cassidy (or Banshee) leads Jubilee into a battle to save a group of young mutants. Phalanx, in order to “practice” for the destruction of the X-Men, targeted these young mutants. By killing and absorbing their abilities, Phalanx would be capable of taking on the X-Men. The robotic killer did not expect the super-powered team-up, and the X-Men quickly defeated the attack drones. It is important to note that Phalanx’s targets in this instance became the founding members of GENERATION X. Among the victims were Everett Thomas (Synch), Monet St. Croix (M), Paige Guthrie (Husk), and Angelo Espinosa (Skin). After these events, Banshee and Emma Frost would open the doors of Massachusetts Academy, and these four, plus Jubilee, would be their first students. The Massachusetts branch of Charles Xavier’s school stood to help new mutants grow into their abilities. 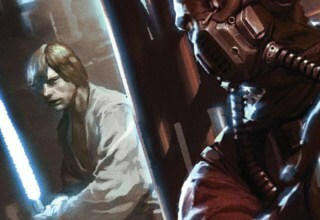 The main focus was not to train them to be soldiers, but to help them grow and control their powers. Some would become X-Men, but that wasn’t Banshee or Emma Frost’s intention. The team was also formed as a means to aid hunted mutants out in the real world. The team acclimated well to their new home, and they were even allowed to train in a special, virtual reality “Danger Room” called the Grotto. Soon, they received an announcement that a special invitation had been sent to one Jonothon Starsmore from London. Jono would be joining the students so that he might learn control of his bombastic psychic abilities. After Jono’s arrival by plane, the team was attacked by a mysterious mutant entity named Emplate. While the X-Men had never encountered the creature before, Emplate would soon become the arch-villain of the GENERATION X team. While his mutation gave him many gifts, Emplate also became a mutant vampire. His powers forced him to consume the bone marrow of other mutants in order to remain in the physical plane. With the vast psychic powers escaping from Jono, Emplate could survive for weeks, prompting his attack. The Generation X team fought the evil mutant, though Husk suffered a severe wound in the battle. Jonothon fully accepted his admission to the Massachusetts Academy, donning the name Chamber in the process. READ: GENERATION X is an early example of YA storytelling, but Marvel’s event, MONSTERS UNLEASHED, helped bridge the gap for even younger readers. After the first battle with Emplate, the team returned home to find another new arrival on the lawn. Her name was Penance, and with her diamond hard, crimson skin and her razor sharp claws, she looked like a monster. Monet St. Croix, whose powers included flight and super strength, was the first to realize that Penance was one of Emplate’s victim’s. Not only did Penance look battered and tortured, Emplate shared a number of physical attributes with the girl. Knowing only torture and fear, Penance feared Generation X’s intentions and broke free of her infirmary room. The team spent an entire night searching for the young woman, while Penance hunted and nearly killed Husk, M, and Banshee. It would be Chamber who would eventually calm Penance. It wasn’t through force or anger but through understanding. Penance warmed to Chamber’s own fear of self, the belief that he was as much a monster as he appeared to be. In this moment, Chamber fully encapsulated the new mission of Generation X. Instead of turning to soldiers’ tactics, Chamber accessed his own lack of control to appeal to Penance as a person. He feared for her. More importantly, he treated her as a human being. While his teammates didn’t mean to scare the girl, their hunt and assaults only solidified what Penance already assumed: that they wanted to hurt her. After Penance’s full appointment to GENERATION X, the team would go on to face several hurdles. Villains like Orphanmaker and Nanny would enter the mix to assault the team, while Emplate made several attempts to kill the young mutants. The team even bolstered their ranks with mutants like Gaia and Mondo. The latter, however, turned out to be an evil clone bent on killing the team from the inside. The biggest overarching mystery of GENERATION X, though, was the connection between Monet, Emplate, and Penance. Throughout the series, the three were inextricably bound to each other. It wasn’t until issues #35-40 that this mystery would finally see some light. A large explosion knocked Monet St. Croix unconscious and split her into two identical human beings. As it turned out, these twins were the younger sisters of the real Monet St. Croix. Their familial mutant trait allowed every sibling to fuse together into new forms with varying powers and gifts. It would soon be revealed that the twins (Nicole and Claudette) were not the only St. Croix siblings. Emplate was actually Marius, the eldest St. Croix sibling, whose dabblings in Black Magic trapped him in a limbo-like dimension. That left the mystery behind the real Monet St. Croix, the middle sibling. While Scott Lobdell didn’t originally plan it, his successors revealed that Penance was the real Monet, transformed and tortured by her older brother. This story arc held a lot of potential and answered several major fan questions. However, the surreal nature of the plotting led to fan backlash. Monet, formerly Penance, has gone on to join several X-teams in the last several years. While the original GENERATION X eventually invited several young mutants into their ranks, the original team kept stable from issue #1. For that reason, it is important, when discussing the history of the team, to dig into each of its main members. I won’t be discussing the team’s mentors Banshee and Emma Frost, or “minor” characters like Mondo or Gaia. Instead, I will be sticking to the original young team that made this comic popular. LISTEN: The X-Men have a history of strong female characters. Help ComicsVerse celebrate their representation with this podcast! Powers: Formerly, the production of plasmoids, coined “fireworks,” which can blind or destroy a target. With greater control, Jubilee could have learned to control objects on a subatomic level. Currently, Jubilee has all of the powers associated with Vampirism. Jubilee is the daughter of two Chinese immigrants, born and raised in Beverly Hills, California. A pair of assassins killed her parents, and this forced Jubilee to steal from the local shopping mall to survive. An intense chase with mall security manifested Jubilee’s powers. After the X-Men saved her from mutant hunters, Jubilee snuck through a portal after them and forever became the staple X-Men sidekick. After the events of “The Phalanx Covenant,” Jubilee grew to fear what her powers were capable of if they grew out of control. At one point, Jubilee lost control and destroyed a mansion when she believed Wolverine had died. With this fear, Jubilee helped form Generation X to ensure that nothing like that would ever happen again. 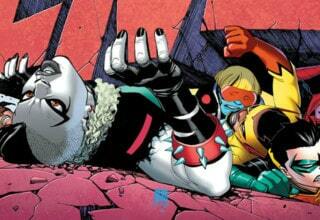 After the events of M-Day, when Scarlet Witch depowered 90% of the world’s mutants, Jubilee was one of the victims. Unable to cope with not being a hero anymore, Jubilee bounced around the Marvel universe. Taking the name Wondra, she joined the New Warriors with a pair of high-tech battle gauntlets that mimicked her previous powers. Afterward, she facilitated support groups for depowered mutants in New York. Most recently, besides mentoring a new Generation X team, Jubilee has become a vampire and faces the daily struggles of that transformation. Powers: By “husking” her outer layer of skin, Paige Guthrie can produce a number of different skin materials, like stone or metal. She has also shown the ability to husk off wounds. What separates her as a character is her original outlook. Her greatest fear is to be seen as a hick, so her time on the team sees her constantly digging into her studies. Unlike her brother who fully embraces his upbringing, Husk wishes to appear civilized and intelligent. Recent events haven’t been kind to Husk. While keeping her powers after M-Day, Paige was forced to quit as an educator at the Jean Grey School when her mental state deteriorated. Pieces of her husked skin reformed as Paige clones. The X-Men learned that the Hellfire Academy brainwashed her. A secondary mutation affected her mental state after each husk, and it wasn’t until Toad tore away layers of her outer skin that he found the real Paige. She has returned to teaching at the Jean Grey School. 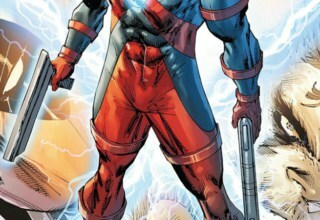 Powers: Synch is able to produce a bio-energetic aura around him. This aura is capable of mimicking the effects and powers of other mutants in his vicinity, though the absorbed powers are not permanent. Everett Thomas comes from St. Louis, Missouri, and his first appearance saw him facing Phalanx. Attacked outside of his home, Synch barely survived by absorbing Banshee’s powers and redirecting them at the attacking horde. While new to his powers, Synch saved the gathered mutants by absorbing and maximizing Jubilee’s energy powers to destroy the Phalanx attack. Everett would join Generation X and be known for his even-tempered kindness. This temperament drew the attention of his female teammates, and he would eventually begin dating Monet St. Croix. Instrumental in several of their missions, Emma Frost confessed that Synch could theoretically absorb and permanently replicate the powers of other mutants with enough training. Synch would never get to that point. When Emma’s sister, Adrienne, manipulated the human student body of the academy against the mutants, Synch was killed attempting to stop her. Absorbing the strength powers of Monet, the only mutant close enough, he sacrificed himself to save all of the human students present. Currently, another mutant brought Synch back to life, though it is unclear whether this resurrection was permanent. Powers: Besides the gray skin, Angelo’s mutation grew six feet of extra skin on his body. Angelo has mental control over this skin to stretch and compress it, though over-exertion gives him a migraine. Angelo grew up in East Los Angeles, immersed in gang violence. While driving with his girlfriend and friends, he was involved in a gang shooting. Amidst the violence, his mutation activated, but he passed out in the chaos. Waking up, his friends either dead or missing, he used the chance to escape the gang life by faking his own death. 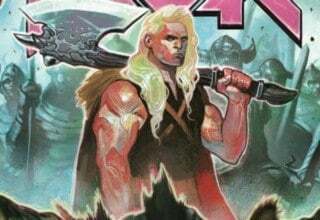 After the X-Men freed him from Phalanx, Skin joined GENERATION X to better control his gift. After working with the team, he had made a lot of progress. By compressing his extra skin, he could appear to have a normal body, and further practice led to a control of his skin pigment. However, using both powers at once led to severe migraines. Sadly, Skin is another member of the team to have been killed. After Adrienne Frost’s attack, Skin and Jubilee left for Los Angeles. No one heard from them again until both were found crucified with other mutants on the front lawn of the X-Mansion. While Archangel saved Jubilee, they couldn’t save Skin in time. Skin died a victim of hate violence. Powers: Pure psionic energy composes Chamber’s body. With greater control, he can launch this energy at foes as a concussive or incendiary force. He also has limited telepathic abilities, his only way to communicate with others. Chamber has become a recurring member of the X-Men titles since his first appearance in GENERATION X #1. Born Jonothon “Jono” Starsmore, Chamber’s mutation activated while on a date in London. The pure psychic energy burst free from his chest and lower face, destroying most of his internal organs. If it weren’t for the psychic energy, he would be dead. After Jono’s time with Generation X ended, he eventually joined up with the X-Men. After M-Day, Jono lost all semblance of his powers and lived on life support without the life-sustaining psionic energy. At this time, followers of Apocalypse kidnapped him and gave him a blood transfusion of the ancient’s blood. It was then revealed that Jono is a descendant of Apocalypse, a great-great-great grandson that inherited the villain’s immense power. For a time he carried Apocalypse’s appearance, but Legion’s reality altering powers turned him back into the monster he believed himself to be. Now, Chamber acts as a staple of the modern X-Men team. He is also one of this writer’s personal favorite superheroes. READ: Excited by teenage superheroes? Check out our thoughts on the upcoming RUNAWAYS TV series. Powers: The St. Croix sisters have a number of unique powers among them, but chief among these is the ability to fuse with their other siblings. Each fusion gives the new form new powers. The most witnessed abilities are super-strength, flight, intelligence, telepathy, speed, invulnerability, endurance, and telekinesis. As Penance, M also sported diamond-hard skin capable of deeply cutting anything she touched. Monet St. Croix and her twin sisters have already been discussed in this post, but their history still remains a mystery. Born to a rich family of French/Algerian origins, Monet grew up believing in her own infallibility. Through her time with the Generation X team, she came off haughty and “holier-than-thou” in all fields. After the appearance of their mutant powers, her brother Marius spirited her away to another dimension where he transformed her body into the cutting exterior of Penance. After Generation X saved her, Penance eventually regained her original form as Monet St. Croix. The M-Twins, Nicole and Claudette, still work within Generation X, though they have fallen to the wayside after their sister’s return. Presently, Monet has bounced between X-teams, though her longest stay was with the mutant investigation firm, X-Factor. GENERATION X didn’t define my childhood. I did not read it in school or attach to the realistic and interesting teenagers. However, GENERATION X matters to the X-Family. Some mutants are not cut out to battle Sentinels. Some mutants don’t want to fight at all. For these students, control is the goal. While Charles Xavier has the best intentions, his end goal is to bolster the ranks of the X-Men. This is noble. But when your mutant powers cause eyeballs to grow on your tongue or let you summon fireworks, can you cut it on the battlefield? What makes the 2017 team so unique is the expansion of the original mission. While some of these mutants have weak or weird powers, others don’t have the right mindset. Eyeboy and Nature Girl need to learn to survive as hated mutants. Quentin Quire and Bling! need to overcome their personalities. This is a high school team with unique gifts, but these won’t be the defining factors. Preparing for the world doesn’t mean gaining control. It means (especially for Quentin Quire) thinking about your fellow human beings. That has me excited for the future of this series. Also, with hints of an Emplate-esque villain, these characters have a fight coming. GENERATION X matters because it teaches young mutants that they have a place in the world. While many members of the original team did become X-Men, it wasn’t the end goal of their education. 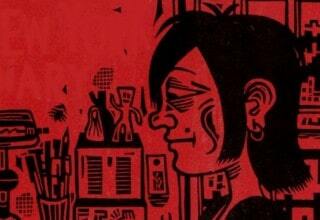 GENERATION X is an ode to a generation of young people without a place in the world. It mirrors all of those little mental battles we all had in high school, those moments of self-learning. GENERATION X is about living with what makes you unique and learning to be proud of it.